Well it's been dark, foggy and drizzly for the last 12 days. 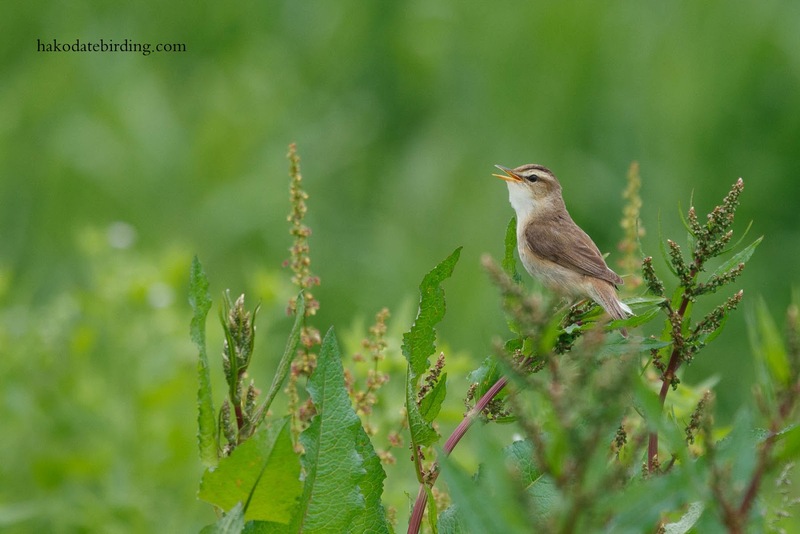 The above Black Browed Reed Warbler was taken on this day just outside Hakodate 5 years ago (with my 400D/100-400). The weather was crap then too I see. Hopefully I'll get out and about soon and take some pics, I'm also as busy as I've ever been workwise (I'm self employed so this is mainly a good thing). Mind you my only immediate plan involves me getting up early tomorrow to shout and scream curses at the TV. I may go to Onuma after the Italy game, perhaps both England and me won't have a fruitless visit to a humid mozzie infested forest. Nice 5 year old pic. I hope you have better luck than England in the rainforest. Hope the weather bucks up Stu. Don't watch England it will be painful.